Try our quaint Rose Suite overlooking the garden area. The romantic Queen size – iron and wood bed – is comfortable and cozy. If one of you is a sleepy head, you won’t be disturbed by your partner watching TV as it is next door in your private, but detached sitting room. 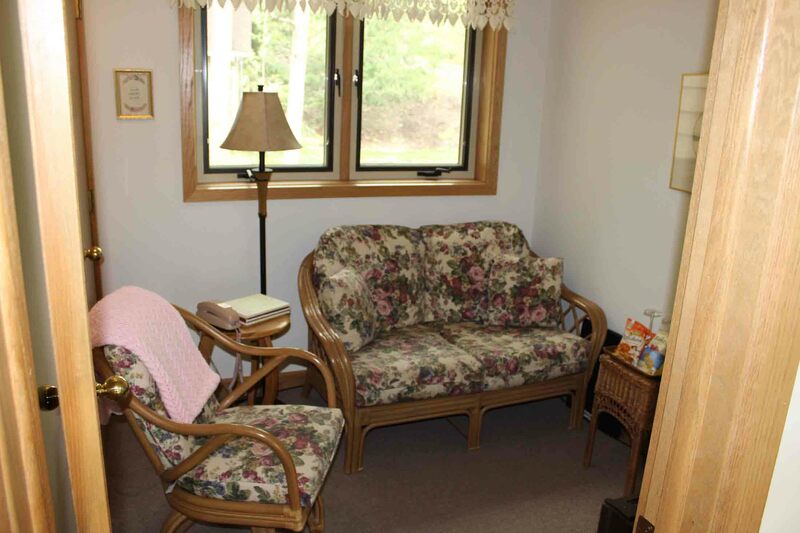 The satellite TV/DVD player, loveseat, chair, and compact fridge complete this cozy additional room. For your convenience, your bath with shower is directly attached to the bedroom. 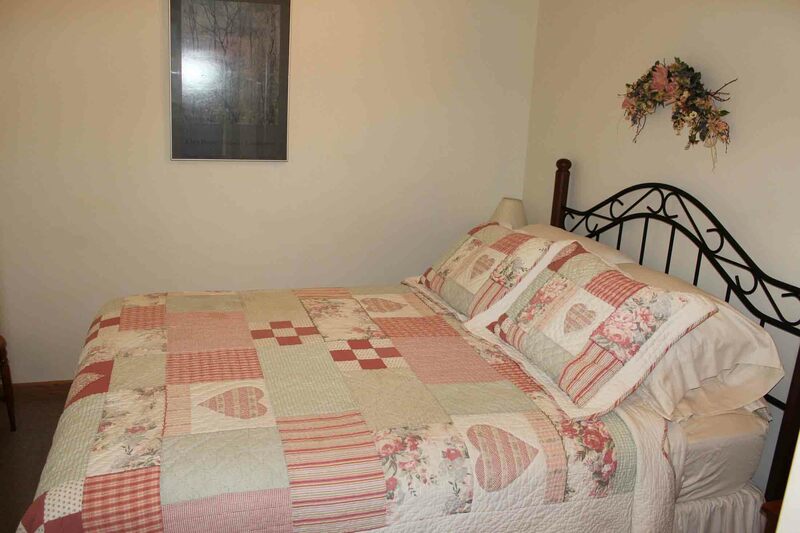 The Rose is perfect for two people on a budget, for shorter stays, and also for those who will enjoy the numerous amenities of Sunrise Landing on Seneca Lake, but do not require an abundance of extra space in their suite. ideal for 2 people – $165 per night, plus 12% tax.